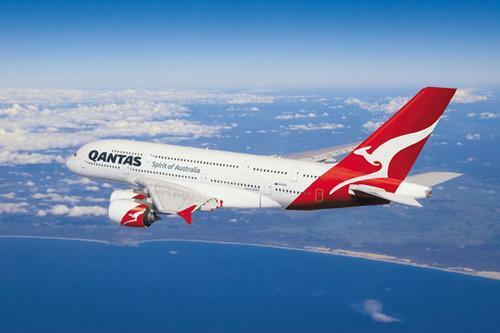 Qantas Makes History By Sending World’s Largest Plane on Longest Nonstop Flight! Today, Qantas Airways flew the world’s largest passenger jet, the Airbus 380, on the world’s longest nonstop commercial flight. The monstrous Airbus 380 has 484 seats and successfully completed the 15 hour and 30 minute flight from Sydney to Dallas after covering an incredible 8,577 miles. The aircraft holds approximately 323,000 liters of fuel or 85,000 gallons, equal to about 8 backyard swimming pools!